College can be expensive; as we’ve seen in the news recently, there are a lot of students struggling once they leave school to pay back their loans. This is why as Mark Kantrowitz explained in our College Financial Planning series that it is important to try to cut costs where you can. Campus housing may be one of these expenses that you consider to cut when you’re evaluating the cost of attendance. In an article we read by Emily Driscoll at Fox Business, she explains that these costs can place a great deal of financial stain on families. In fact, according to College Board reports, the average cost of room and board for four-year public universities is $8,887 and $10,089 for private schools. This is why we’ve put together a list of different options for students and their families looking to cut housing costs and save some money. Compare housing packages. According to Driscoll, if you’re looking for cheaper on-campus housing options, you may want to look at residence halls with fewer amenities or those that are further away from campus. We also suggest choosing housing where you share a room, as this will also reduce the cost. Choose the meal plan that fits your needs. In another article we read by Kim Clark and Beth Braverman at CNN Money, they suggest choosing a meal plan option that fits your habits. Often students won’t eat at the dining hall for every meal; they will either just go without eating or eat a light snack for some of their meals. Therefore, it can be a waste of money if you’re not eating at the dining hall for those meals. If you never eat breakfast or you don’t each much, you may want to choose a cheaper plan, as this will reduce your room and board costs. Work in a co-op. According to Driscoll’s article, many universities offer co-op programs that allow students to receive reduced housing costs while they work a service job on campus. If you’re looking to save money, it is certainly worthwhile to check out your school’s website to see if they offer a program like this. Check out off-campus options. In some cases, off-campus housing may be less expensive than on-campus options. Especially if you live with roommates, it may help to reduce the cost of housing while you’re in school. While your school may not live off-campus during your freshman and sophomore year, you may want to evaluate your off-campus options your junior and senior year. However, when you are evaluating these options, it is important to factor in the cost of food, gas/transportation costs, and utility costs into the price of off-campus housing. You should then contrast this to what you would spend living in the dorms and eating in the dining halls. This will give you a better sense of how they differ. Live at home. Perhaps the most budget-conscious decision could be to live at home, if you live close enough. That way there won’t be an added room and board cost to factor in. The only added expense you will really have here is gas or transportation costs. For the last part of our college financial planning series, we wanted to know what students should consider when they are repaying their loans and what they should do if they have accrued a large amount of debt. We once again spoke with Mark Kantrowitz, publisher of FinAid.org and FastWeb.com, to help us answer these questions. The first thing Kantrowitz advises is that if a student can make the required monthly payments and accelerate their payment of the loan, then they should consider making extra payments on the loan with the highest interest rate (after making the required payments on the loan). While not everyone can do this, students who can will pay off their loan earlier, reduce the interest accrued on the loan, and ultimately save a significant amount of money. If a student runs into financial hardship and is unable to make their monthly loan payments, Kantrowitz advises students to speak with their lender immediately to find out their options. For federal loans, in particular, there are a variety of options that will help them to continue to make payments without causing too much financial strain. The first option for federal loans is a temporary suspension of repayment, such as a deferment or forbearance. Kantrowitz explains that this is an option best suited for those who experience temporary or very short-term financial hardship, which could include things like short-term job loss, mental leave, maternity leave, etc. The problem with this option is that the interest on the loan will continue to accrue on at least a portion of the loan, which will increase the size of the loan. However, Kantrowitz explains that this will not be a major problem should one require this assistance for only about 3 or 4 months, as not much interest will have accrued over that time. He advises that students not extend this type of assistance for much longer than that, and explains that this type of assistance will also have only a 3-5 year limit (depending on whether it is a deferment or forbearance). The second long-term option for repayment would be the income-based repayment plan. This repayment plan will base the monthly loan payment on 15% of one’s discretionary income. According to Kantrowitz, discretionary income is defined as the amount by which one’s income exceeds 150% of the poverty line. Therefore, if your income is below that amount, your monthly loan payment would be $0. However, this option also extends the term of the loan and can end up increasing the amount you pay over time. According to Kantrowitz, there are a few benefits to choosing the income-based repayment option. He first explains that this is a good safety net should one run into financial difficulties and become unable to make monthly loan payments. This option is also beneficial in that after 25 years of repayment, all remaining debt will be forgiven (a feature not offered by private lenders). In fact, a new version of the income-based repayment will reduce the percentage of discretionary income charged from 15% to 10%, and it will shorten repayment from 25 to 20 years before the remaining debt will be forgiven. Kantrowitz also explains that should one work in the field of public service [jobs such as a teacher, public defender, prosecutor, member of the military, city, state, or federal worker, or for any 501(c)(3) charitable organization], then all remaining debt will be forgiven after 10 years of repayment. According to Kantrowitz, students should avoid defaulting on their loans as this can greatly limit their options. In fact, in many cases, it will actually get much more difficult to repay the loan as there are many ways in which the debt will continue to be collected. One way in which this is done is through a wage garnishment of up to 15% of total discretionary income. This can also be done through the interception of federal and state income tax refunds. On top of this, there will also be an increase of the term of the loan by almost 100%, in that 25% of each payment made (whether voluntary or involuntary) will be used to pay collection charges. Therefore, a student will not only have to pay off the principal of the loan and the interest, but also the collection charges that come with defaulting on the loan. Overall, there are things students can do before they run into trouble paying back their loans. As mentioned previously, talking to one’s lender is perhaps the most important step whenever they are experiencing financial difficulties or hardship. While their options may increase the amount they pays on the loan, it will prevent students from both going into significant debt and forcibly making payments on their loans. By choosing to repay loans in these ways, students can greatly limit stress and misfortune by repaying their loans in the way that is right for them. For the fourth installment of “Ask the Expert: College Financial Planning” series, we wanted to know how college housing choices effect financial aid decisions. To find out more, we spoke again with Mark Kantrowitz, college financial planning expert and publisher of FinAid.org and FastWeb.com. According to Kantrowitz, room and board are factored into the cost of college attendance, making it an expense covered by a student’s financial aid package. If a student chooses to live on-campus, their room and board would be based on the dormitory fees and the standard meal plan fee. If the student chooses to live at home with their parent(s) or guardian(s), rarely will they receive any financial aid for their housing accommodations. If the student lives in an off-campus property (other than at home), the student will be afforded an allowance within their financial aid package to cover the cost of their housing. However, this price will be an arbitrary average rent price that is based on occasional rent surveys, and as Kantrowitz explains, universities are very reluctant to change these figures once they have been set. This means that if a student chooses to live in a property that is more expensive than the housing allowance, the university will not alter their allowance to accommodate the greater price. The only circumstances in which Kantrowitz sees this change being made is when the student has extenuating circumstances, such as a disability or having a dependent, which would require them to choose a more expensive residence. For this reason, Kantrowitz advises students to try to stay within their budgets when it comes to off-campus housing. He explains “Just because you have an allowance that says you can pay up to this amount per month for rent, doesn’t mean that you should spend that amount. This is because in most cases the money that you’re spending on your living expenses is going to come in the form of loans, not grants.” By spending up to the allotted amount or above that amount, this will not only increase the student’s expenses per month, but it will also increase the amount of debt the student will have to pay off when they graduate. There’s a lot to consider when you decide to move off-campus, including remembering all the furniture you have to bring, all the supplies you’ll need, and all the food you’ll have to buy. 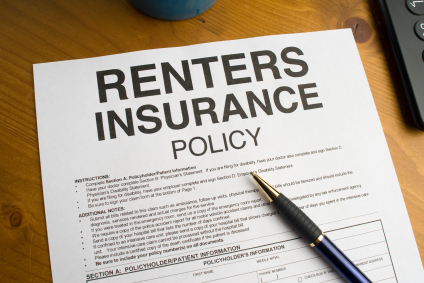 However, before you move in, you may want to consider getting renters insurance. In an article we read by the National Association of Insurance Commissioners, what many students may not realize is that most landlords will not have insurance that protects their renters’ property. More and more landlords are, in fact, requiring that their tenants have renters insurance when they move in. For students, renters insurance is a great way to protect important things like computers, stereos and other important property. While you may be concerned that it’s an added expense, consider that the premiums are only about $15 to $30 a month. That will save you a lot if your laptop gets damaged or stolen! When you’re looking at purchasing renters insurance, there are two basic types of coverage you should be aware of. The first type is personal property coverage (the most common type), which will pay to repair or replace your property if it’s damaged, destroyed or stolen. The second type is liability coverage, which will protect you against any claim or lawsuit from any injury or damage while on the property that you’re renting. However, there are many differences when it comes to the providers and the plans they offer. Be sure to talk to your landlord, your parents, and the insurance providers about the plans they offer and what they cover. Don’t take the first plan you see, but shop around before you make your decisions so that you get the coverage that works best for you. Here’s a checklist we found at Leaky.com that will help make it easier for you to find renters insurance. For the second installment of “Ask the Expert: College Financial Planning” series, we wanted to know what types of loans are available to students, and what are the distinctions between each of these types. To find out more, we once again spoke with Mark Kantrowitz, an expert on paying for college, to give us the lowdown on loans. Kantrowitz explains that there are two major types of student loans: federal education loans and private student loans. According to Kantrowitz, the federal loan has greater availability, better repayment plans, and is generally cheaper than a private loan. He advises that the federal loan should be a student’s first choice when applying. They will also be much easier to obtain in that they are offered through the Direct Loan program where students obtain federal loans through their college or university. There are several different types of federal loans that are available to students. The most common is the Stafford loan, in which there are two versions: the subsidized and the unsubsidized. According to Kantrowitz, there are a few main distinctions students should note when applying for subsidized and unsubsidized federal loans. The first is that the subsidized version is based on financial need, while the unsubsidized version is not. Even wealthy students can qualify for the unsubsidized Stafford loan. Second, with the subsidized version, the government will pay the interest on the loan while the student is in school, and with the unsubsidized version, the government will not. Thirdly, the interest rates for subsidized loans will be half of the rate (3.4%) as the rate for unsubsidized loans (6.8%) until tomorrow, in fact. While there was a great deal of debate over how the government could afford to keep the rate the same, Senate majority and minority leaders established an agreement that would enable the rate to remain at 3.4%. According to Kantrowitz, this agreement will modify pension insurance premiums and drop eligibility for subsidized Stafford loans from students who are taking too long to graduate. The other major distinction between subsidized Stafford loans and unsubsidized Stafford loans is the limit to which a student can borrow. For the subsidized Stafford loan, a student may borrow up to $3,500 for their freshman year, $4,500 for their sophomore year, and $5,500 each for their junior and senior year. Should the student require more aid, they may apply for unsubsidized loans. However, there are limits as to how much one can borrow, either with a combination of subsidized and unsubsidized, or just from unsubsidized alone. Overall, the limits are $5,500 for dependent freshmen students, $6,500 for dependent sophomore students, and $7,500 each for dependent junior and senior students. If the student is filing as an independent, or their parents have been denied a loan, the borrowing rate is increased to $9,500 for their freshman year, $10,500 for their sophomore year, and $12,500 each for their junior and senior years. The second type of federal loan available to students is the Perkins loan, which is given to students with exceptional financial need. However, Kantrowitz explains that this is a very small loan program, and most students will not receive this type of loan. Those students who do receive this type of loan will obtain between $1,000 and $2,000, on average. The last type of federal loan Kantrowitz identifies is the PLUS loan, which is granted to the parents of undergraduates and to graduate students. In either case, there is a 7.9% fixed interest rate, and eligibility is dependent on the borrower’s credit history. The PLUS loan also has a limit up to the full cost of education, minus any other aid received. The Plus loan program is very popular, and only about one-fifth of those who apply will be denied due to bad credit. While Kantrowitz explains that federal loans should be a student’s first choice, he also explains that a student may take out private loans should they require more funding. However, Kantrowitz warns against some of the major pitfalls with private loans and denotes the differences between the federal and the private loans that should play into a student’s decision. The first is that private loans are determined by individual lenders (not by the government), therefore these loans will vary significantly and will often have variable interest rates. While some are introducing fixed interest rate options, this is something that students should consider when applying for private loans. The second major consideration is that eligibility for these loans depends on one’s credit history and credit score. In fact, Kantrowitz explains, more than 90% of these loans require a creditworthy cosigner as many students do not have any credit history or if they do, it is oftentimes very poor. The higher of the two scores will then determine eligibility and the cost of the loan. Kantrowitz gives us the example that if the loan has a variable rate, the interest on the loan would be a combination of a variable index plus a fixed margin, which depends on one’s credit score. This means that the higher one’s credit score is, the less they will have to pay in interest on the loan. Kantrowitz advises that “Your debt at graduation should be less than your expected annual starting salary.” He explains that ideally, students should not be borrowing more than $10,000 each year for college. If total student loan debt is less than annual income, the borrower will be able to repay their loan in 10 years or less. Kantrowitz explains that “If your debt exceeds your annual income, you’ll struggle to repay the loan, and you’ll have to alter your repayment plan by income-based repayment or extended repayment in order to afford the monthly loan payments.” This means that students will not only be stretching out their repayment, and therefore the amount of time they are in debt, but they will also be increasing the cost of the loan. This means that they may still be repaying their own student loans when their children are looking to attend college. 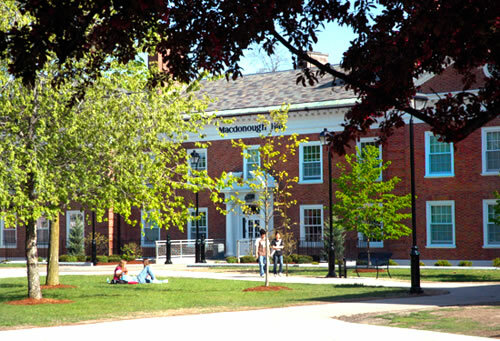 For more information on financial aid and scholarships, visit www.finaid.org and www.fastweb.com.